YouTube is the leading platform for video sharing and streaming platform from where you can stream for any type of video, movie, song, drama, documentary and much more. YouTube is backed by the Google and utilize the search system of the Google that’s why it bring out the best result of users typed keywords. 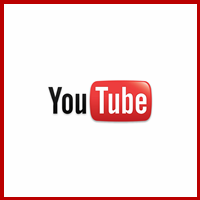 The best about YouTube is that it allow the users to set their own channels and monetize them. Dailymotion is an online video hosting and sharing platform that is offering its online video streaming and sharing services of the almost forty countries across the globe. Dailymotion is not as much great as compared to the other leading video sharing and streaming platform, however, can still be used as a platform for getting the original movies, songs, music, documentaries, dramas, TV shows and much more. The concept of web based streaming and hosting system across the internet is getting popular day by day. However, still there are only a few web based source of entertainment that are providing the best quality stuff to their visitors. Vimeo is among those few and limited video sharing and streaming platforms that always provide the HD and top quality printed stuff to their visitors. If you are found of watching short clip movies, videos or trailer of the upcoming movies then Metacafe will be surely the best choice for you because it is an online portal of short clip video movies. The services of Metacafe are much similar to that of leading video sharing and streaming platform. However, in addition to providing the short clips and videos, Metacafe provide the full-length stuff as well. Vevo is a little new in the world of video streaming and sharing platform but it doing well in the world. Vevo is backed by the leading multimedia platforms that’s why doing well in providing the best quality stuff to its visitors in a shape of movies, music, shows, TV programs, songs and much more. Vevo is now among the leading video sharing, streaming and to some extend the hosting platform that believes on providing the best quality stuff to the visitors.The limitation in case of Vevo is only one and that is it is not a global video sharing and streaming platform. If Vevo is available in your country then you can surely enjoy the online sharing and streaming services of the Vevo and if it is not available then you have to go for any other video sharing and streaming platform. EngageMedia is a web-based community if video sharing and streaming portal where the users of the EngageMedia shares their own videos and movies with others that can be search, watch, and download by the others. The data available here is restricted to the few categories only. If you are expecting for top rated movies and full-length videos then these are not available here. Rutube is a video streaming platform for the Russia where it is considered as the leading video streaming and sharing platform. Launched in 2006, Rutube is now offering its free video and movies streaming and sharing services in most of the countries all around the world. Most of the services and entertainment data being offered by the Rutube is free to access and free to watch and even free to download. For those entertainment lovers that loves to watch the stuff of others and want to share their won will surely like to be the part of MeFeedia because MeFeedia is the one of the largest sources for exploring the entertainment stuff in the category of movies, music, TV shows, drama, theatrical performance, original documentaries, training lessons, tutorial, study material and a lot of others. 56 is one of the largest internet based video streaming portals that is based on the features of online video streaming, downloading, uploading and video sharing. The free video streaming and sharing services of the 56 can be access from any part of the world. Just like other top rated video sharing and streaming platforms. Rediff is an Indian entertainment portal that is considered as a leading video and movies streaming platform in India. Rediff is basically the collection of news, shopping, and entertainment. It has a dedicated streaming area for those who want to get in touch with the latest and top rated movies and songs. The best about Rediff is that in addition to providing the full length movies and dramas.